Is food & drinks included in the price? Do I have to bring my own phone? You do not have to bring your phone. But it is fun for you to have memories from the tour so we recommend you to take tour phone to take personal pictures. Always be aware of the weather. Dress in layers. Dancing shoes are ok but not recommended. Hiking boots, on the other hand, are recommended. If you have any questions about what to wear for the day you will be coming, just ask us, and we will help you out. But hiking shoes or good walking shoes. Is there a pick up or drop off? There is a pick up and drop off at your hotel. What is the tour duration? It is between 12 hours. I have dietery restrictions or allergies. You will be eating cheese, so if you only have lactose intolerance then you will be ok, but if you are allergic to milk, then the cheese tasting is not for you. But that´s the only thing. If there are any allergies and intolerance, just say so in the booking, and we will sort it out. No there is not. Take your whole family. What is the limit for guests? The limit is 15. But if you are coming in a big group or it is full then just send us an email at info@reykjavikout.is, and we will sort it out. Can I show up at tour and pay with cash? No, because we have to arrange with our partners how many are coming each day. You can only book and pay online. Do you offer group or package discount? Yes. Send us an email and talk to us at info@reykjavikout.is. What kind of cards do you allow and what do you not? Do you only book online? Can I get your tour if it´s full? Yes that´s possible. Make an inquiry online and we will arrange something. No worries. 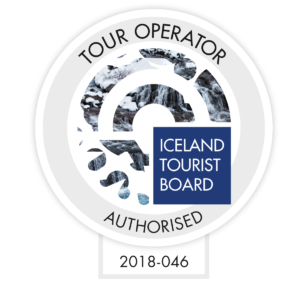 *For all bookings of day tours operated by Reykjavik Outventure, a minimum of 24 hours’ notice of cancellation prior to your scheduled tour departure is required for a full refund. If a cancellation is made with less than 24 hours’ notice prior to departure no refund is given. 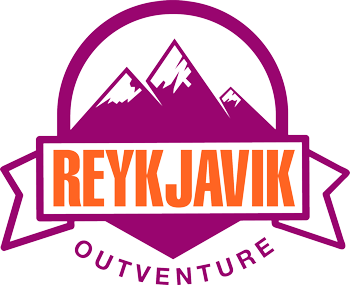 For the 24-hour policy to be applicable cancellations need to be made and delivered to Reykjavik Outventure through info@reykjavikout.is. The 24-hour policy does not honor cancellation requests sent through other channels. Is pick up and drop off included in the price? Always be aware of the weather. Dress in layers. Dancing shoes are ok but not recommended. Hiking boots, on the other hand, are recommended. If you have any questions about what to wear for the day you will be coming, just ask us, and we will help you out. But hiking shoes or good walking shoes. It is between 10 hours. Yes, but let us know first. Is food, beer and everything included in the price? unless you want to buy something outside the tour. highly recommended. If you have any questions about what to wear for the day you will be coming, just ask us, and we will help you out. coming each day. You can only book and pay online. Do I have to take swim wears? Yes you do, and a towel. But if you forget, you can rent for a price. No we do not have a pick up or drop off for this tour. No there is not, but if you are under 18, then you have to have a guardian with you. the day you will be coming, just ask us, and we will help you out. There is a pick up and drop off at Keflavik Airport or near hotels. It is between 4-5 hours. It is between 5-6 hours. It is between 3-4 hours. Yes. But let us know first. There is no beer in this tour. What is included is Skyr and access to the swimming pool. It is between 7 hours. Always be aware of the weather. Dress in layers. Bring warm clothes. Dancing shoes are ok but not recommended. Hiking boots, on the other hand, are recommended. If you have any questions about what to wear for the day you will be coming, just ask us, and we will help you out. You will be drinking chocolate with a lot of milk in it so if you have lactose intolerance then let us know and we will sort it out. If you are allergic to milk, then we also need to know. Also if you have gluten intolerance, let us know and we will sort it out. But that´s the only thing. If there are any allergies and intolerance, just say so in the booking, and we will sort it out. If you will not see any Northern Lights, you can come back free any time you want in the future.